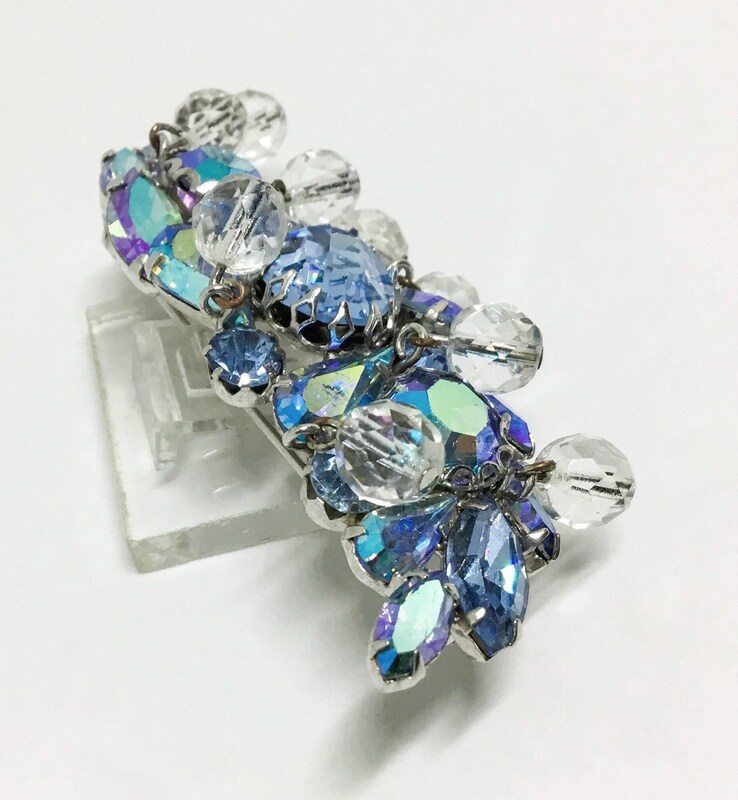 This is a stunning vintage silvertone D & E Juliana icy rhinestone and dangle bead brooch. 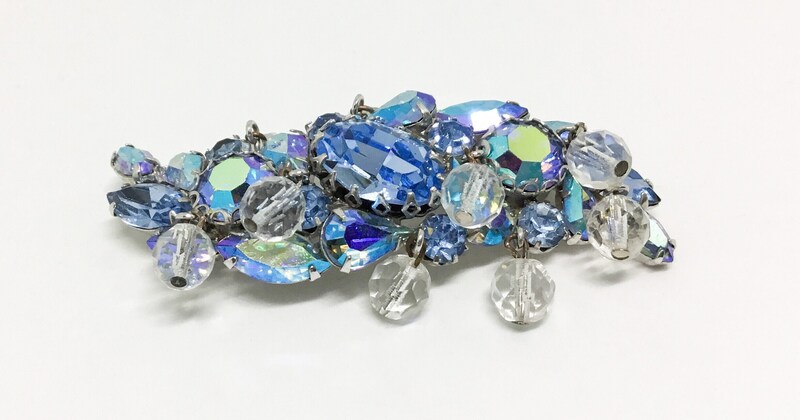 It is a long brooch that has a very large light blue rhinestone center. 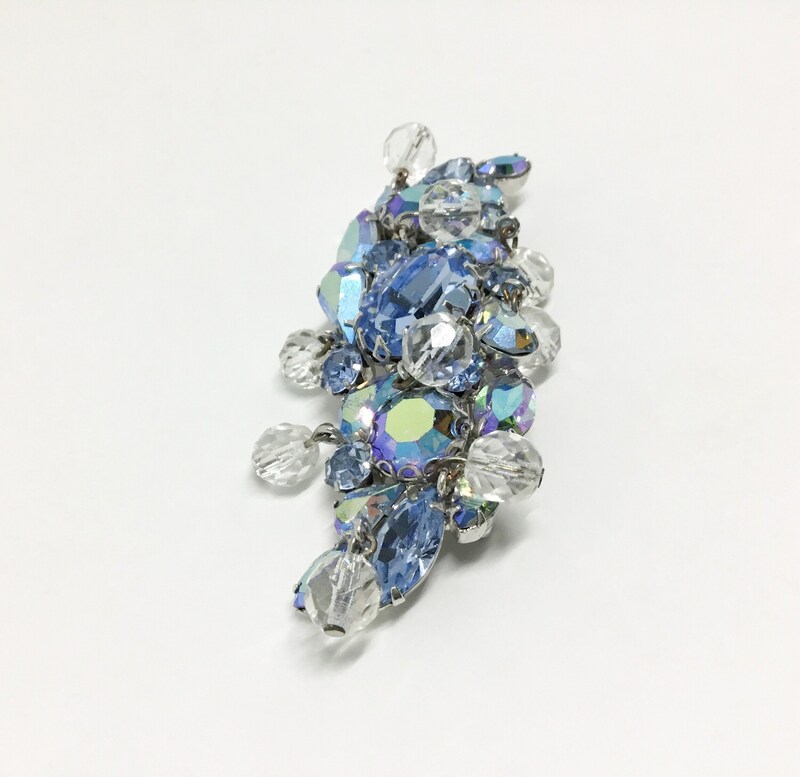 On each side of the center is a large blue AB with bezels of half circles. 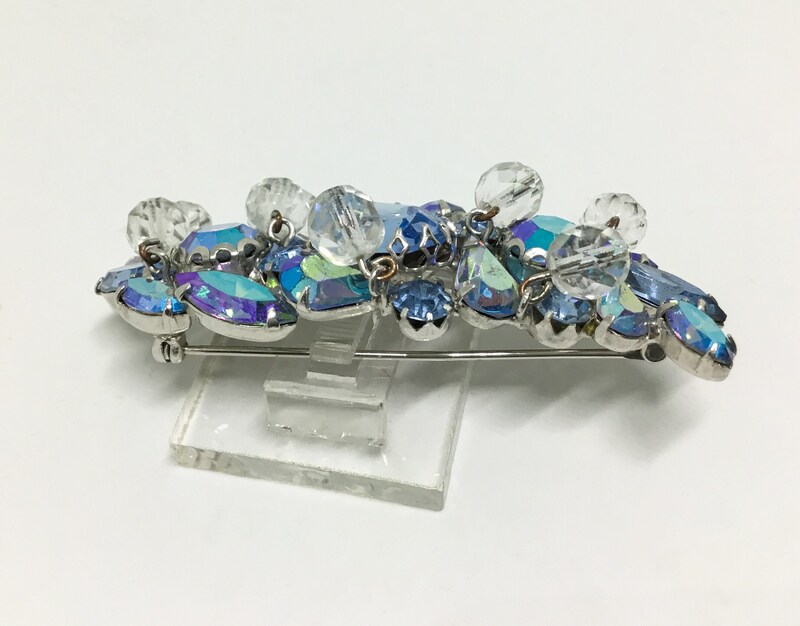 Each end has a light blue navettes. 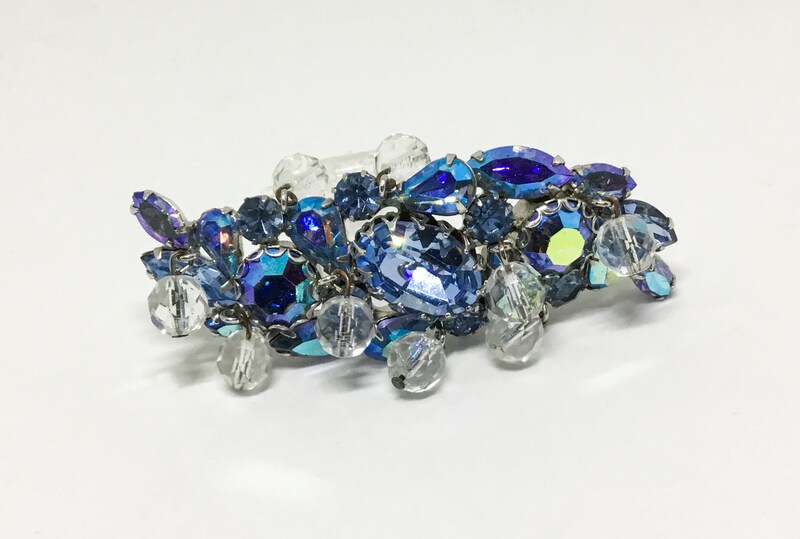 Accents along the sides are teardrop, navette, and round AB and blue rhinestones. 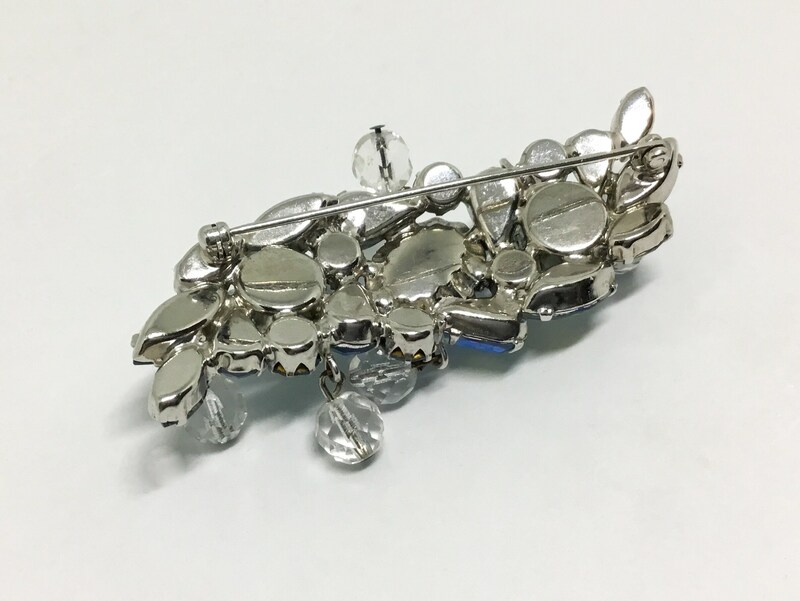 There are nine faceted clear glass beads giving the brooch lots of movement. 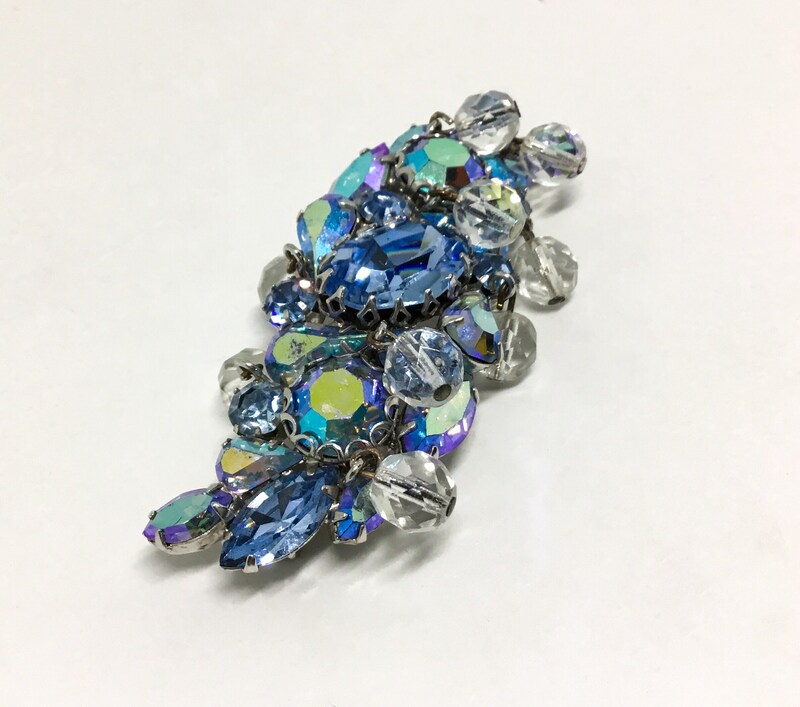 The brooch exhibits the Juliana construction of not showing much metal but directing the eye to its vibrant rhinestones and beads. 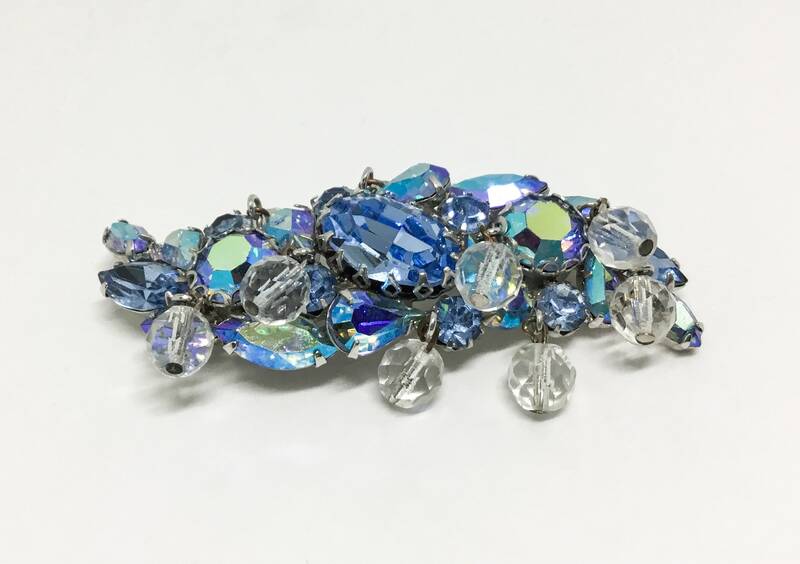 The silvertone back shows a small amount of wear and a couple of the rhinestones have some surface wear that does not distract from the dazzling brooch. 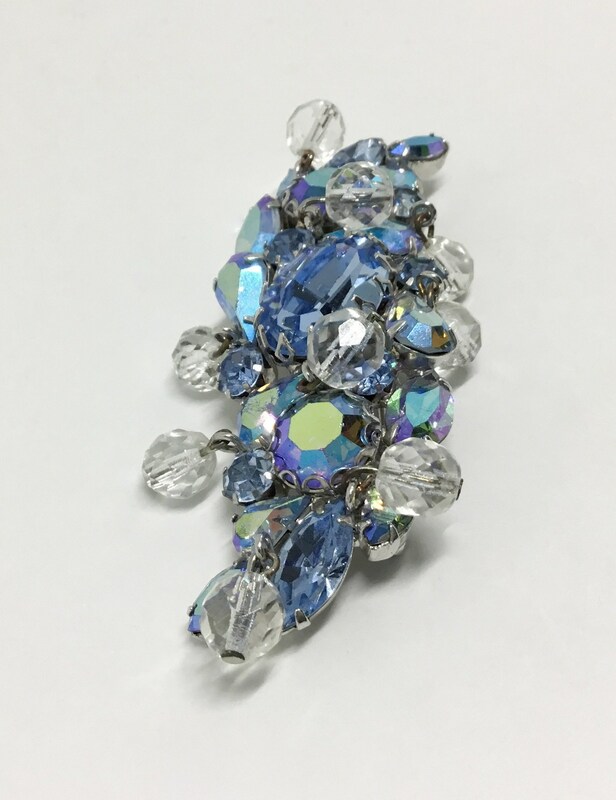 It measures 3” x 1” and the pinback is straight and works smoothly and securely. 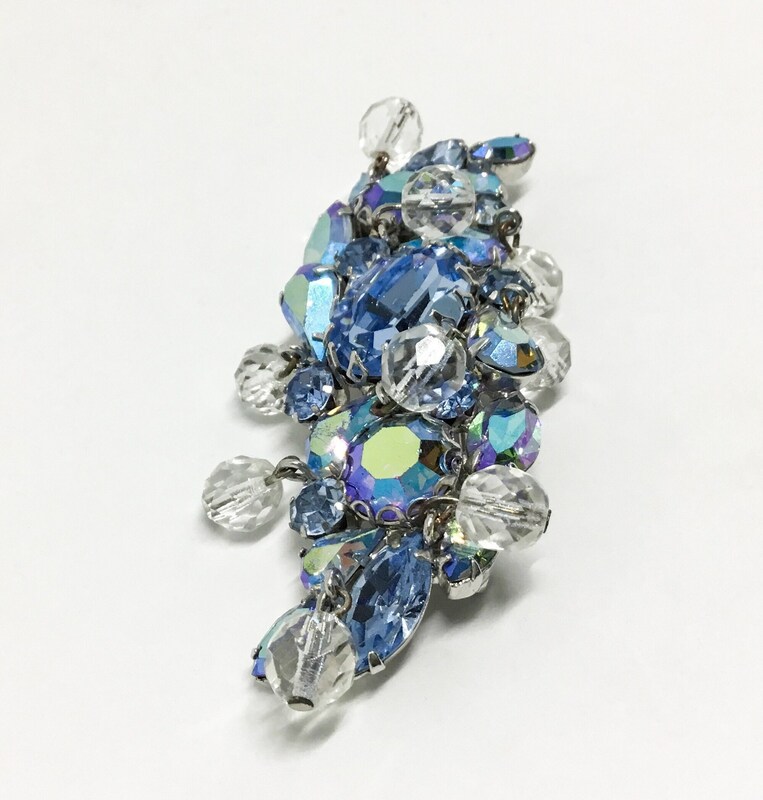 Wear this for work, play, or to an event and look glamorous and fabulous!